Check out our “Sleek” Bunn Booth in action at a wedding! Want to turn up the cool factor at your corporate event? Watch this! Photo Booths are a fun and exciting way to add more flavor to your wedding or event! 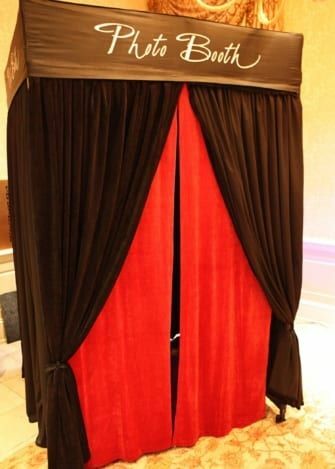 Want a traditional photo booth where you grab a few props, get in, and pull back the curtain? Bunn Booths has that! Want a sleek photo booth with a backdrop, which is less obtrusive and an easy way to share pictures on social media? Bunn Booths has that too (and they’re amazing)! Give your wedding guests something to talk about and a reason to act crazy with these booths. One thing is for sure – whether it’s the next day, the next week, or 20 years from now, you and your partner will LOVE looking back on these pictures! Photo Booths are available in Raleigh NC and surrounding areas. Contact us at 919-785-9001 or fill out the contact form to inquire about pricing and rent our photo booths!